Every year, thousands of people lose their lives in automobile accidents and millions become permanently impaired. The alarming thing about accidents is that they are on the rise with each passing year. But as they say, every cloud has a silver lining; the good news is that most of these accidents can easily be avoided with a little bit of caution and by following some really simple guidelines. In essence, awareness can do wonders in the field of road safety. There are simple steps that can prove to be of great help in avoiding car accidents. While the key to safe driving lies in obeying traffic laws, staying alert, being predictable on the road, and steering clear of the consumption of alcohol and drugs go a long way in ensuring a safe and accident-free driving. If you think taking a moderate amount of alcohol makes you more alert, think again. According to a report of National Highway Traffic Safety Administration (NHTSA) in 2016, there were 2,017 people killed in alcohol-related crashes where drivers had lower alcohol levels (BACs of .01 to .07 g/dL). Another study by the same agency points out that more than 29% road deaths are cause by alcohol-impaired drivers. Even a small amount of alcohol in your blood stream wreaks havoc on you central nervous system. It results in slowing down of the reflexes. You take more time to react to any situation and on the road, this condition proves to be as dangerous as driving blindfolded. So, make a simple rule; never drink and drive and you will be safer on the road than ever before. 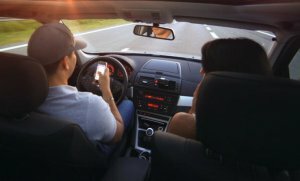 Distracted driving is another major cause of road accidents in the US. While you might think that taking a quick call on your mobile phone won’t cause any harm, statistics have an entirely different story to tell. In 2015, 3,477 people were killed, and 391,000 were injured in motor vehicle crashes involving distracted drivers. To put things into perspective, approximately 660,000 drivers use cell phones while driving, which creates an enormous potential for deaths and injuries on US roads. Teens are the largest age group reported as being distracted at the time of fatal crashes. An automobile is a wonderful machine that takes you places at amazing speeds, but if you don’t handle it like one, you are bound to get into trouble. So, always make it a point that while you are on the road, you are fully focused on driving. After all, you are handling a sophisticated machine. Your behavior on the road goes a long way in securing your own life as well as that of others. The best drivers are those who follow the speed limits and drive in sync with the traffic. Aggressive drivers put the lives of others at risk by exceeding the speed limits on open stretches. This behavior is dangerous because you are not able to bring your vehicle under control in the event of a tricky situation like sudden braking by the front driver or negotiating a turn. In such situation, you either end up rear ending someone or hitting a curb. So, it makes sense to stay in complete control of your vehicle while you’re on the road. This can be achieved only when you avoid the temptation to step on the gas and say goodbye to aggressive behavior. If you want to avoid accidents and keep your loved ones safe on the road, it is imperative that you keep your vehicle in road-worthy condition. Road-worthy, means “top-performing condition”. This is because when you are on the road, you may come across a demanding situation and your vehicle should not let you down in dealing with road hazards. An unexpected pothole, bad weather or an obstacle in the street can come out of nowhere. A poorly maintained car can break down on the road, thereby putting you in harm’s way. So, always keep your vehicle in top working condition. In parking lots, drivers are so engrossed in finding a space that they tend to ignore other moving vehicles. This is a major cause of injury to pedestrians and other people present in such an area. You must be extra careful while looking for a parking space and pay special attention to kids and elderly people. While kids can come running from anywhere, older people cannot move away quickly. By being extra cautious in parking areas, you can avoid injuring other people. By following these five simple defensive driving tips, you can avoid accidents and protect the lives of your loved ones. What’s more, these defensive driving tips make you a better driver and a more responsible citizen. If you are in an accident before getting an opportunity to employ these defensive driving tips, you may need a lawyer. The Law Offices of L. Clayton Burgess are experienced Lafayette car accident attorneys. Call our offices to schedule a free consultation and meet with our team. We are here to help!